Going to college is really costly especially since many colleges and universities have expensive tuition fees. But there are ways for you to get into college through scholarship. Many organizations and institutions offer different kinds of scholarships. You just have to submit the much needed requirements and you will have to undergo the screening process. Most scholarship programs would require students to submit scholarship essays. Through these essays, the screening committee can scrutinize each applicant. 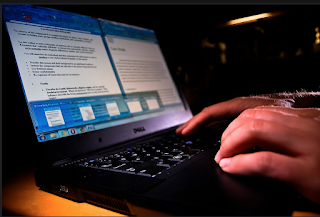 In writing a scholarship essay, students get to express their reasons for applying to the said scholarship along with their strengths and abilities. Below are some good resources to help you craft a successful scholarship essay. This file contains useful tips and guidelines that you can use to come up with a topnotch scholarship essay. By following the 4 steps in the file, you get to have a persuasive essay making your application competitive. The site offers effective tips when it comes to your writing style, the information and details that you should include along with the other essential things to keep in mind when drafting your application essay. Phoenix.edu is home to valuable resources for students who are searching not just for scholarship but those who want are in need of professional help when it comes to scholarship essay. When you access the site, you get to see sample admission essays as well as scholarship essays that can make your application competitive. Read the articles and samples to have a feel on the right way of creating your essay or you can also ask for professional advice. Are you applying for a scholarship at the University of California, Irvine? This material gives you easy to follow tips for writing winning essays for your scholarship application. With the valuable information that they share to students, you can also use this file when drafting your scholarship essay for other universities or colleges. The writing guide gives you tips that you can easily follow so you can pattern the content and come up with a top winning essay. The college admission process is never an easy procedure with all the requirements that you have to submit from letter of recommendations to admission essays. Venderbilt.eud provides students essential information with the College Essay Archives. Through their site, you get to access frequently asked questions when it comes to writing your college essay and admission. You can also get tips when it comes to the kind of letter of recommendation needed along with the importance of drafting a quality personal essay. The platform is the site of the Vanderbilt University but it gives students a wide perspective when it comes to the college admission process that they can use even if they are applying for other universities. Bestessaytips.com is known for their quality essay writing services. Students in need of college admission or scholarship essay can rely on professional writers to do the job. But on top of the writing services that they offer to their clients, the site is also home to informative articles for students. When you access the blog section, you get to see the useful tips and other related articles that can help you in writing your own admission essay and application. The site offers you essential pieces of information not just about scholarship and admission essay writing but as well as other concerns related to your application. In fact, you can also use the site in searching for available scholarship. This makes it easy for you to go through the different scholarships for students. Aside from the scholarship listings, the site also has other resources that you can use to get to know more about college admission procedure. You can also view essay samples so you know the right way of drafting your scholarship/admission essay. Scholarshipsandawards.net is a great site where you can easily filter the different scholarships by place, year and type. It also gives you the much needed information when it comes to other means of financing your education like student loans and government grants. And when it comes to writing your application/scholarship essay, it is not enough to read an article that provides you with useful tips. You can look at the different essay samples that you can use as a guide. Boston University is premier university in the United States. In their admission website, students can get valuable information and effective tips to write a quality essay. There are videos that teach you how to make your essay stand out.